The registration of participants for VI European Labour Mobility Congress is now in progress! ELMC is the biggest event on the posting of workers and the freedom to provide services in the European Union. ELMC will be held on 14-15 of March 2019 at the ICE Congress Center in Krakow. You can register for the event on www.registration.elmc.eu. ELMC creates a unique forum for dialogue and exchange of views and brings together several hundred participants and speakers, representing: business, social partners, public administration, academia, politicians, NGOs and institutions involved in the issues of work mobility and cross-border service provision. 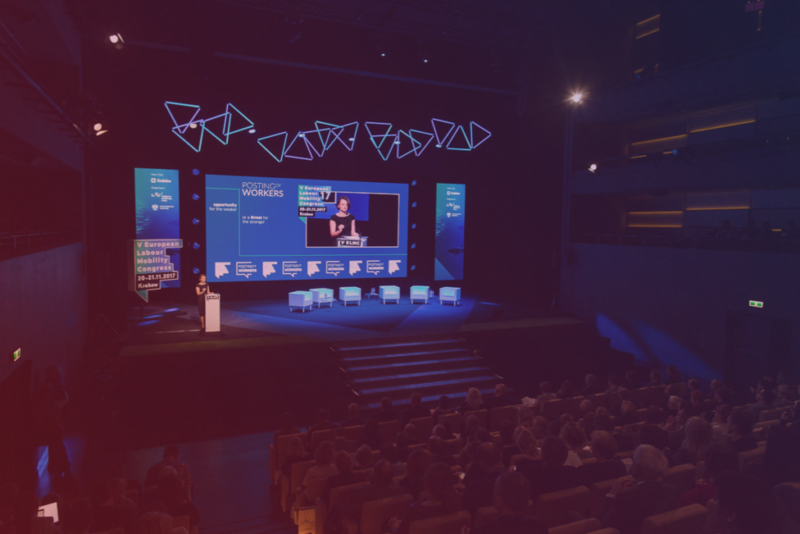 Among dozens of speakers who will be heard during this year’s edition, there are: Jadwiga Emilewicz, Minister of Enterpreneurship and Technology, prof. Gertruda Uścińska – President of the Social Insurance Institution (ZUS) and EU Commissioner Elżbieta Bieńkowska. ELMC is an opportunity to discuss one of the most heated topics regarding the EU Single Market. The main theme of this edition is: ‘New posting rules. Problems solved? Fairness guaranteed?’. 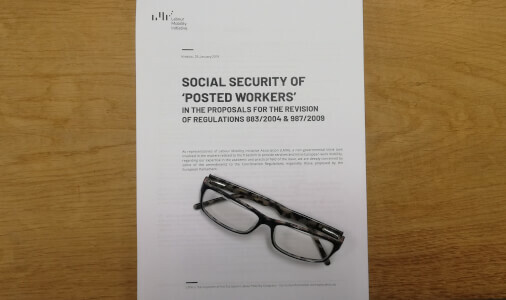 At the threshold of entirely new rules on the posting of workers, we pose the question: what are the consequences of their implementation and are they ‘fair’ to all of the interested parties and Member States? The first day is held in a form of a plenary session devoted to new rules of the provision of cross-border services on the Single Market. This includes speeches by special guests, panel discussions and the debate with Jadwiga Emilewicz, Minister of Entrepreneurship and Technology and Konrad Szymański, Secretary of State for European Affairs at the Ministry of Foreign Affairs. 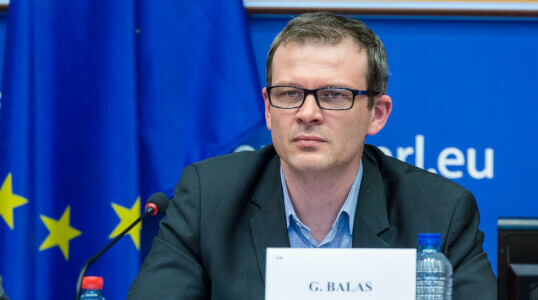 The plenary session is moderated by Zbigniew Bartuś (Dziennik Polski). The session is accompanied by the Experts’ Village – a designated area, where business representatives have an opportunity to meet and discuss with specialists their needs and legal and practical issues in a friendly atmosphere. The first day ends with an evening banquet with the view on the Wawel Castle. The second day consists of a series of practical workshops and sessions dedicated mainly to business and conducted by experts and lawyers from all over Europe. Workshops address current practical and interpretative problems in the field of the posting of workers and social coordination. On the same day will also be held the Civil Society Dialogue – a Q&A session with Elżbieta Bieńkowska, EU Commissioner for Internal Market, Industry, Entrepreneurship and SMEs, on the tasks of the European Commission and current policies on the freedoms of the EU Single Market. During both days of the ELMC, you can become part of the #protectionismisNOTfair action, which aims to draw public attention to protectionist solutions in EU legislation, restricting the free movement of services in the EU. The event is also accompanied by an intimate trade fair of services and solutions for business. 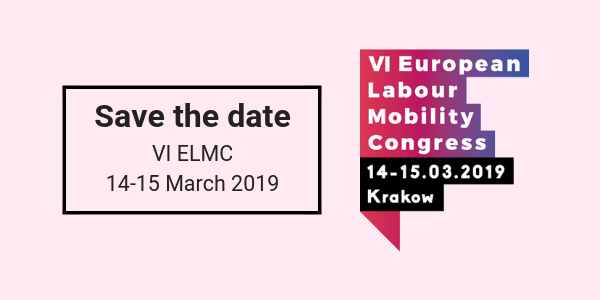 The organizers of the 6th ELMC are: Labour Mobility Initiative Association in cooperation with the Ministry of Enterpreneurship and Technology, the Ministry of Foreign Affairs and the European Commission and Krakow is the Host City. Visit www.elmc.eu to find out more about the agenda of the Congress and other details.